Jared Leto Done As Joker? It's possible that Jared Leto may be done as the Joker in the DCEU as recent rumor and speculation point to his exit. The latest comes from a Harley Quinn fan site offering the "Harley Quinn and Joker" movie has been canceled, which was to star Jared Leto as the Clown Prince of Crime and Margot Robbie as his love interest. 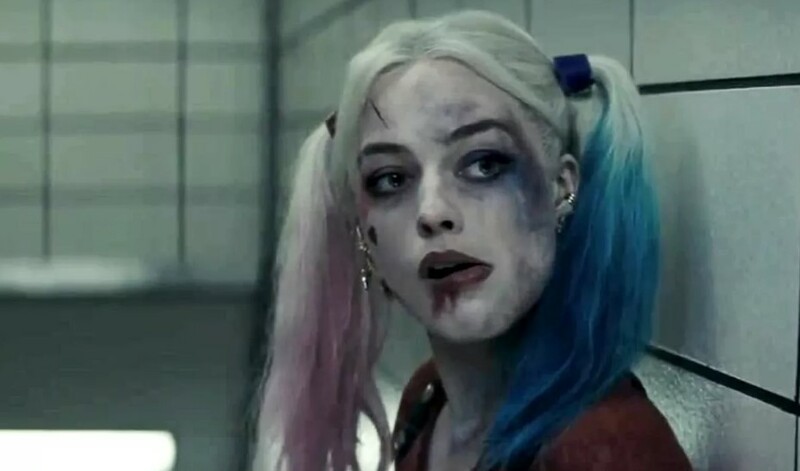 The fan site also offers Margot Robbie and Harley Quinn will not be a part of James Gunn's Suicide Squad 2, that the David Ayer Gotham City Sirens movie looks to be axed, and that news on Batgirl could be coming soon, possibly related to an appearance in the Birds of Prey movie, which is now filming. Regarding Jared Leto being done as the Joker, probably the biggest piece of evidence this is true is that Leto is starring in another comic book movie, Sony's Spider-Man spinoff Morbius the Living Vampire flick, which films soon as well. Another piece of evidence that points to Leto's exit from the DCEU is that it is 99% probable Jared Leto won't be back as the Joker for James Gunn's Suicide Squad 2, as the two don't get along. Ironically, Gunn actually accused Leto of pedophilia. Now the rumor points to Harley Quinn not being involved, so it's not too hard to do the math. Another large factor pointing to Jared Leto being done as the Joker comes with the official title for the Birds of Prey movie: Birds of Prey (And the Fantabulous Emancipation of One Harley Quinn). Obviously, the "Emancipation of One Harley Quinn" relates to Harley going off on her own and not being attached to (Leto's) Joker. So it makes sense to have a "Harley Quinn and Joker" movie canceled simply because of the fact that it would be a step backward for the character. Following Harley getting "emancipation," she is supposed to go back to the Joker? Another factor that might play into things is the #MeToo movement. Obviously, the Joker is "abusing" Harley Quinn (which is another factor in the Birds of Prey title), and more than likely Margot Robbie (producer) and WB are making the character into an anti-hero (think Venom) to capitalize on her popularity, so they aren't going to have her as Joker's second fiddle. And they are not going to have Harley come off as the victim of the Joker, either. Originally, the "Harley Quinn and Joker" movie was said to be Harley vs. Joker (imagine that?). With no "Harley Quinn and Joker" movie, no Gotham City Sirens, no Suicide Squad 2, no Birds of Prey appearance, it seems obvious there is no place for the Jared Leto Joker character in the DCEU. In addition, with Matt Reeves said to be going with a younger version of the Dark Knight for The Batman, Jared Leto won't be featured in that film, as well. Joaquin Phoenix also happens to be starring as the Joker in the 80's Todd Phillips movie which is separate and not a part of the DCEU.